Images from the first T20 International between India and New Zealand in Wellington on Wednesday. 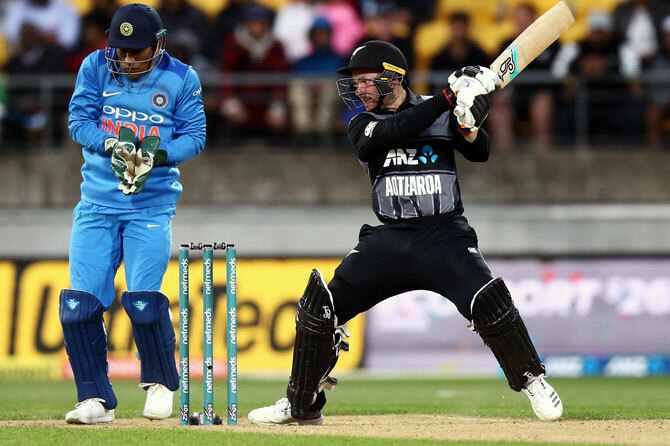 A below-par India slumped to their worst-ever defeat in T20 Internationals as New Zealand outclassed the visitors by a comprehensive 80-run margin in the first T20 International in Wellington on Wednesday. Put into bat, wicketkeeper-batsman Tim Seifert took the Indian bowling apart as he blasted 84 off 43 balls to power New Zealand to a huge 219 for six in their 20 overs. With the crack opening pair of skipper Rohit Sharma (1) and Shikhar Dhawan (29) departing early, the chase became a difficult one for the visitors and they kept losing wickets at regular intervals to be bowled out for a lowly 139 in 19.2 overs. Mahendra Singh Dhoni (39 off 31 balls) did play his part but it was always an impossible chase with wickets falling at regular intervals at the other end. India had never lost a T20 International by 50 or more runs prior to this match. Their previous worst was a 49-run loss to Australia back in 2010. "We failed to get a good partnership. 200 was never going to be easy to chase," said Rohit after the match. 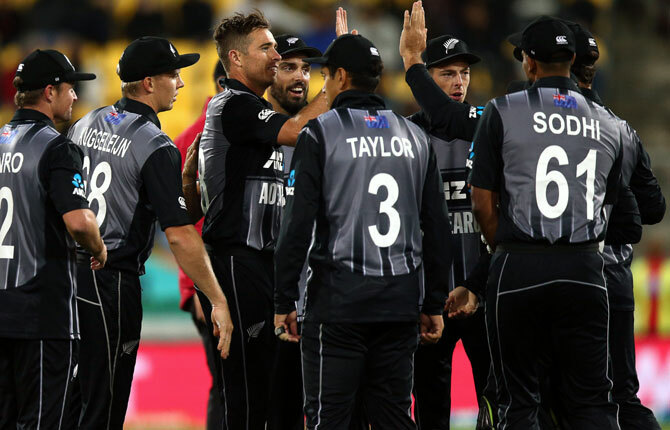 New Zealand bowlers kept the pressure on Indian batsmen, especially the two spinners -- left-arm spinner Mitchell Santner (2/24 in 4 overs) and leg-spinner Ish Sodhi (2/26 in 3 overs). Senior pacer Tim Southee, who took 3/17, bagged the key wicket of Rohit early before he went on dismiss Vijay Shankar and Dhoni at the end. The middle order failed to fire as the likes of Rishabh Pant (4), Dinesh Karthik (5) and Hardik Pandya (4) all being dismissed cheaply. 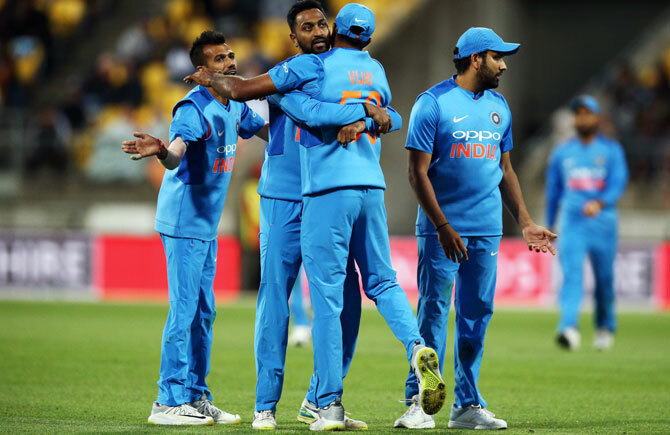 On a pitch where Indian spinners Yuzvendra Chahal (1/35 in 4 overs) and Krunal (1/37 in 4 overs) went for plenty, the Kiwi spinners built up the pressure in the middle overs with some disciplined bowling. While Pant didn't do his chances any good, Vijay Shankar (27 off 17 balls) impressed during his little cameo but would need to do more in order to book a place in the World Cup bound squad. The Pandya bothers -- Krunal and Hardik -- endured a contrasting day. While Krunal (he also scored 20 off 18 balls) had an okay outing, Hardik struggled with both bat and ball -- (2/51 in 4 overs and 4 runs). 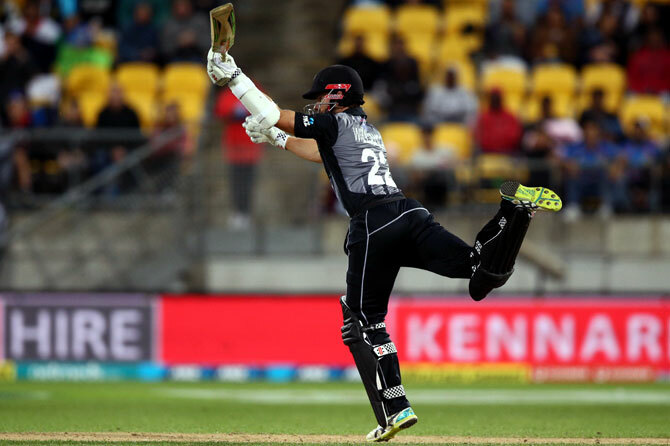 Wicketkeeper-batsman Tim Seifert ripped the Indian bowling attack apart with a scintillating 84 off 43 balls to power New Zealand to a huge 219/6 in the first T20 International in Wellington, on Wednesday. Seifert, who opened the innings in place of the injured Martin Guptill, gave the hosts a flying start as he put on 86 runs in only 8.2 overs for the opening wicket with Colin Munro, who stroked 34 off 20 balls. The right-hander was at his attacking best, as he slammed seven fours and as many as six sixes. Seifert went on the attack right from the start as he swung Bhuvneshwar Kumar over midwicket for a six, followed by a straight boundary back past the bowler. Munro joined the party as he hit left-armer Khaleel Ahmed for two successive sixes, as 44 came from the first four overs. Seifert was lucky to survive when wicketkeeper Mahendra Singh Dhoni put down a tough chance after the right-hander had edged left-arm spinner Krunal Pandya, before he hit the next ball for a six over square leg. Hardik also suffered at the hands of the Kiwi opener as he hit for a boundary on either side of the pitch, before he hit the medium pacer for a four and a six in his next over. Krunal finally made the breakthrough as Munro was caught in the deep by Vijay Shankar. But Seifert never let the momentum drop as he hit two more sixes off Krunal, while he swept Yuzvendra Chahal for a six over the leg side. He missed out on a deserved centry as Khaleel bowled him with a full delivery, in the 13th over. Captain Kane Williamson continued the momentum as he stroked a fluent 34 off 22 balls, while Scott Kuggeliejn provided the finishing touches as he hit a quickfire 20 not out from just seven balls.